If you can’t find what you want, make it yourself. 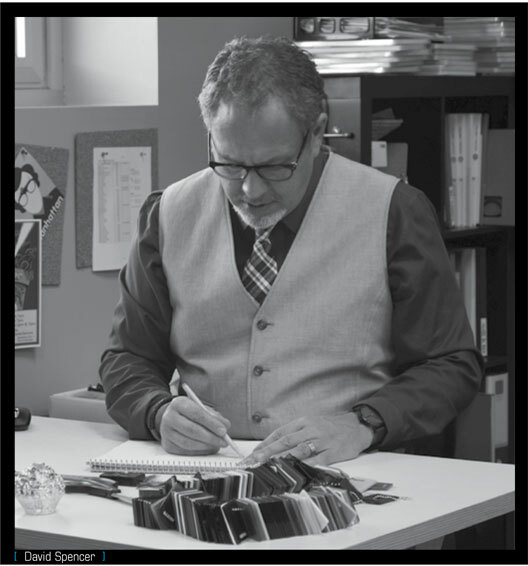 That is the can-do attitude that led David Spencer, founder and frame designer for Ogi Eyewear, to launch his company in 1997. As an optical retailer in his hometown of Minneapolis in the early ‘90s, Spencer saw a need for finely crafted, affordable frames designed to fit smaller faces. After searching unsuccessfully for a collection that met this need, he decided to fill it himself. Armed with nothing more than a concept and a pad of paper, he began sketching frames and shopping his idea around to various factories. In 1997, he launched the Ogi Eyewear Heritage Collection, consisting of 15 unique styles in five colours. His design approach combined small, refined shapes with bright colours to produce a line featuring modern finesse and unique craftsmanship. The collection was unlike anything else in the market and the response was instantly favourable. Spencer says that when it debuted at Vision Expo East, Ogi’s booth was beset by a feeding frenzy of hungry buyers. Building on that initial success, Ogi introduced several new collections, featuring larger-size frames and new styles annually. Ogi has added three collections to its Heritage Collection: Ogi Kids transforms the company’s stylish adult frames into smaller styles for tomorrow’s trendsetters. 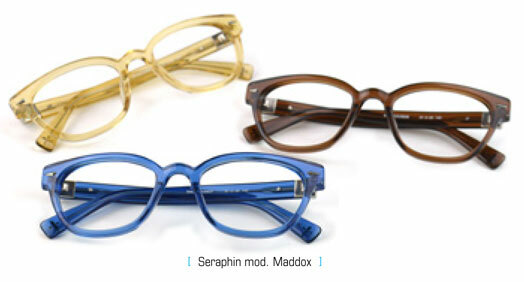 The Seraphin Collection revives classic, vintage shapes with modern, nature-inspired colours for a neoclassical look. Innotec, Ogi’s newest collection, is designed for the sleek, modern individual, with extremely lightweight frames created with a new and unique technology. Spencer learned a lot about how to treat customers from his father, Alan, a long-time doctor of optometry in St. Paul, MN. Today, David spends most of his time drawing frames for the coming season, along with selecting new materials and colours for those already in production. Each frame starts with a pencil drawing, he says. As examples, he cites the Walker Art Center in Minneapolis, which cantilevers over Hennepin Avenue, and the inventive structure of the Guggenheim Museum in Bilbao, Spain. “They are iconic examples of incredible, functional architecture,” he says. Spencer is quick to credit Ogi’s team of 40 employees at its Minneapolis headquarters and hundreds of sales representatives around North America for the company’s success. When he’s not designing frames, David loves spending time with his family, including his Welsh terrier, Monty. “I am a huge dog lover and Monty will definitely attest to that,” he laughs.